The Featherbed Inn provides beachfront accommodation in Waitsfield. The property is located 800 metres from Mad River Glen. The property is situated 900 metres from Mad River and 1 km from Green Mountain Cultural Center. 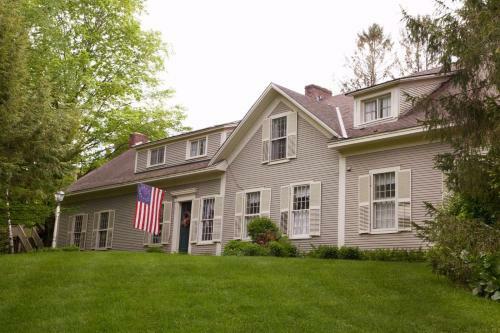 The Featherbed Inn, Built c. 1806 sits on 20 acres and was once an active dairy farm in its day until the 1950’s, when it became one of the first Bed & Breakfast Inns in the Mad River Valley to accommodate the skiers of the newly opened Mad River Glen Ski Area. In the 1990’s a massive restoration and renovation took place to transform the once dairy farm into the now Featherbed Inn and cottages. Whatever the season the Featherbed Inn is here to welcome you. Check out our website or give us a call to check availability!